T/Sgt. 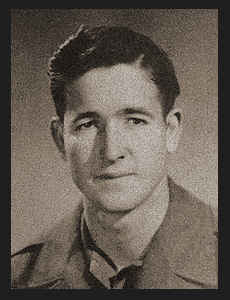 William E. Taylor, son of J. W. Taylor, graduated from Frederick High School. Entered Army in Jan., 1943, trained in Camp Swift, Texas; served in England, France, Belgium, Luxembourg, Germany, Czechoslovakia, Austria, Switzerland and Holland; was discharged in Nov., 1945. Awarded Good Conduct Medal, Am. Theatre Ribbon, ETO Ribbon with five Battle Stars, Victory Ribbon, Pres. Unit Citation with Oak Leaf Cluster.